Dr. Oltvai’s research interest is in the area of systems biology of cell metabolism, including the metabolism of prokaryotic and mammalian cells, including tumor cells. Dr. Oltvai is a staff pathologist in the Division of Clinical Microbiology. 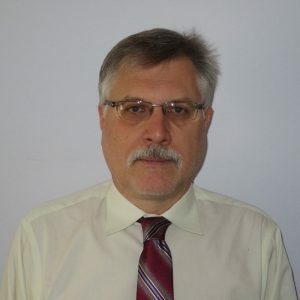 He is also a faculty member of the Interdisciplinary Biomedical Science Graduate Program, the Medical Scientist Training Program, the Cellular and Molecular Pathology Graduate Training Program, and the Joint CMU-Pitt PhD Program in Computational Biology. Raghu, V., Beckwitt, C.H, Warita, K., Wells, A., Benos, P.V. and Oltvai, Z.N., (2018) Biomarker identifica­tion for statin sensitivity of cancer cell lines. Biochem. Biophys. Res. Comm., 495: 659-665. Ishikawa, T., Hosaka, Y.Z., Beckwitt, C.H., Wells, A., Oltvai, Z.N. and Warita, K. (2018) Concomitant attenuation of HMG-CoA reductase expression potentiates the cancer cell growth-inhibitory effect of statins and expands their efficacy in tumor cells with epithelial characteristics. Oncotarget, 9: 29304-29315. Beckwitt, C.H., Clark, A.M., Ma, B., Whaley, D., Oltvai, Z.N. and Wells, A. (2018) Statins attenuate outgrowth of breast cancer metastases. Br. J. Cancer, 119: 1094–1105.